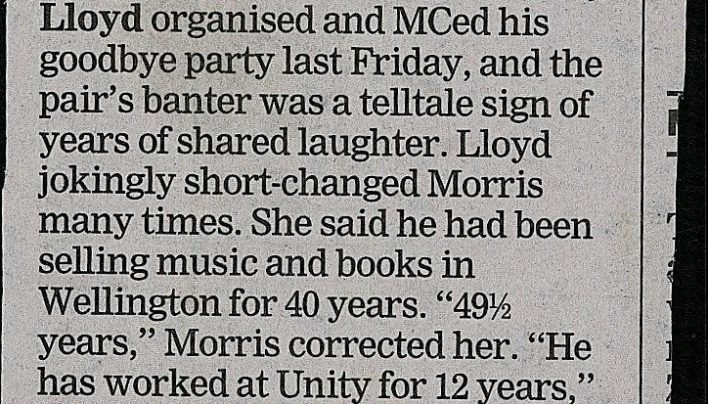 The Dominion Post reports on Colin Morris’ retirement party. 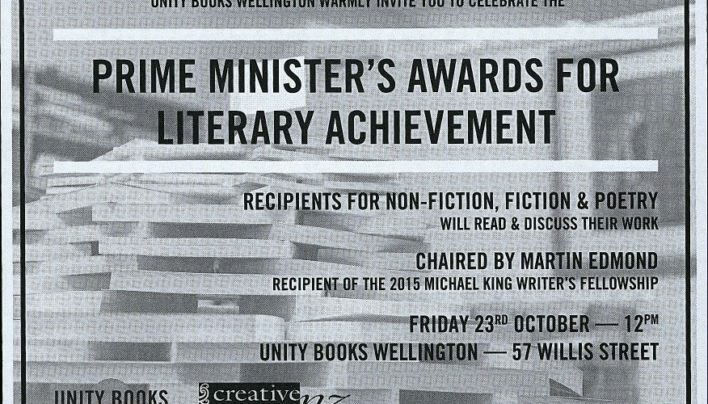 The death notice for Ray Harris, father of Unity Auckland’s Jo McColl. 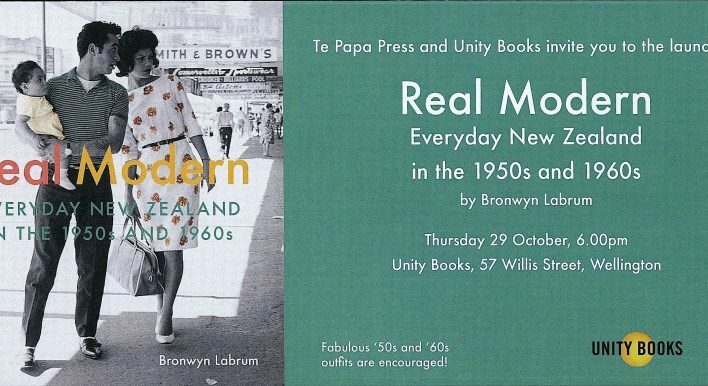 The invitation for the launch of Real Modern: Everyday New Zealand in the 1950s and 1960s by Bronwyn Labrum (Te Papa Press). The death notice for historian and poet W H Oliver. 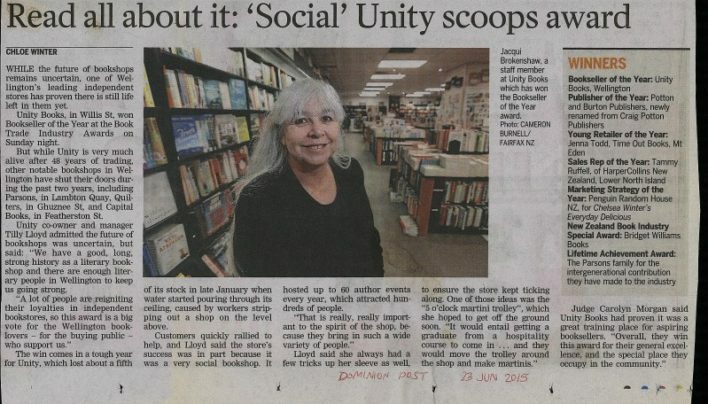 An article in the Dominion Post about Unity Books winning the Bookseller of the Year at the industry awards, and about the general health of the book trade. 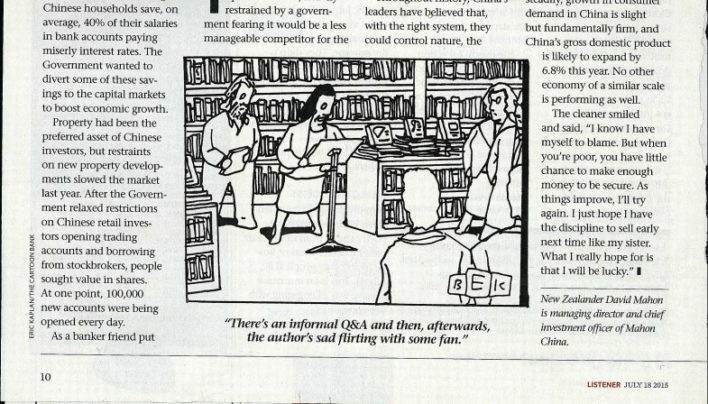 Somebody saved this cartoon. 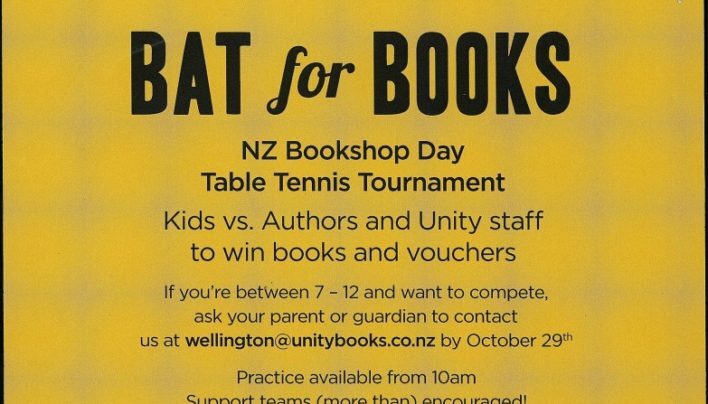 (My guess is Colin Morris). 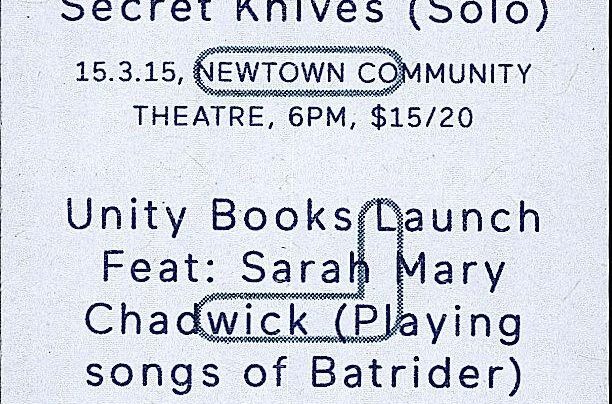 Perhaps something about it struck a chord? 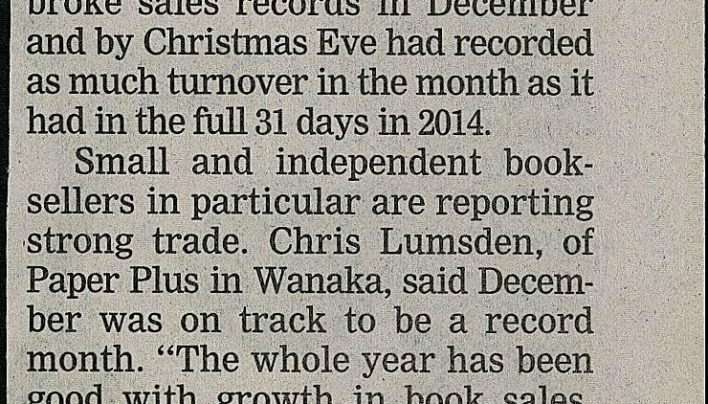 An article about the buoyancy of the book industry towards the end of 2015.